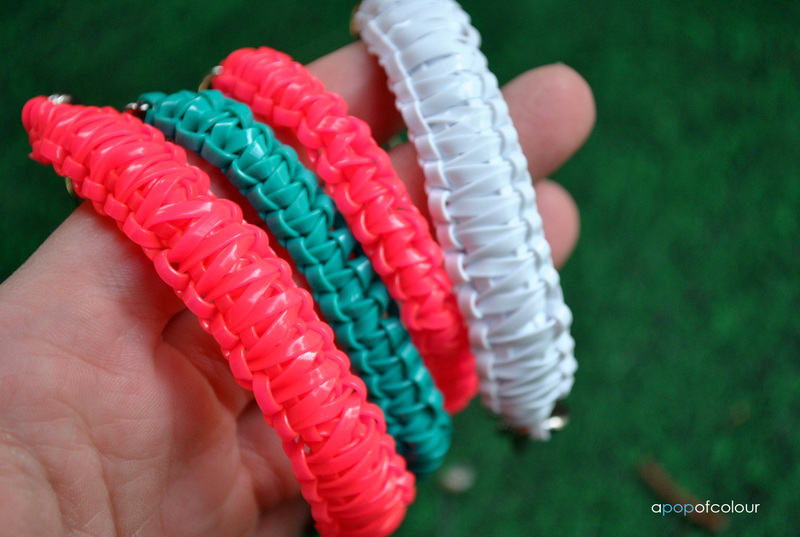 So an item I have been coveting over for the past few months have been the Hello Berry bracelets on Etsy. 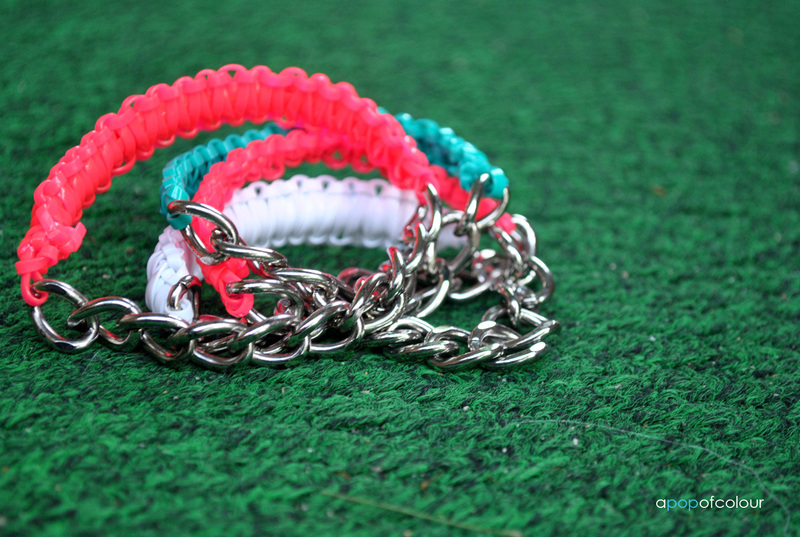 I first saw the super cute chain and braided bracelets on the Luxy sister’s secondary channel and pretty soon, all my favourite gurus seemed to get one. I have been obsessed with them but I couldn’t justify spending C$26 for one bracelet (with shipping it would be around C$30), plus you can’t have just one, I would want to stack them. Well, I was perusing the Internet the other night and I came across a few tutorials on YouTube on how to make them. It looked easy enough, so the next day I went to my local Michael’s store and bought all the supplies for them. 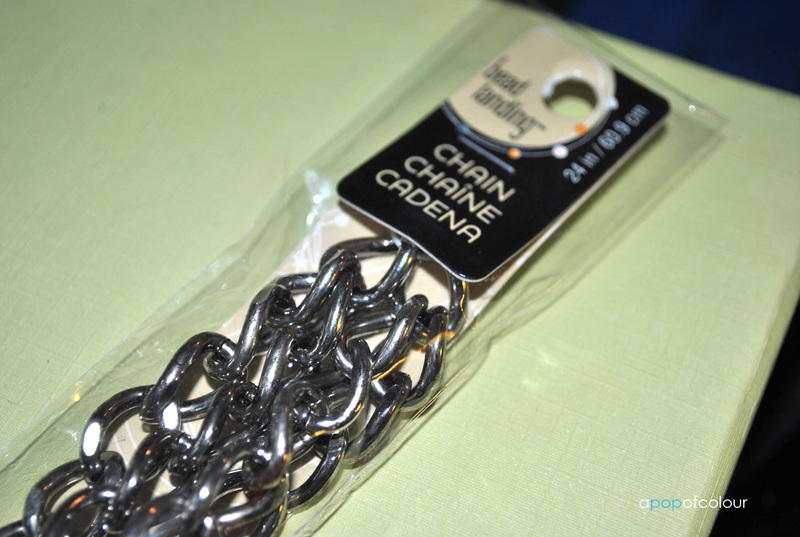 The only thing I couldn’t find was the same chain they use (a curb chain), but I got a similar, smaller silver version of it (if you want the same chain, Charming Chains & Supplies on Etsy has them). Between the chain, three different colours of craft lace (turquoise, pink, and white), and superglue, my bill was around $17 (I had a coupon for 50 per cent off one item as well), total score! 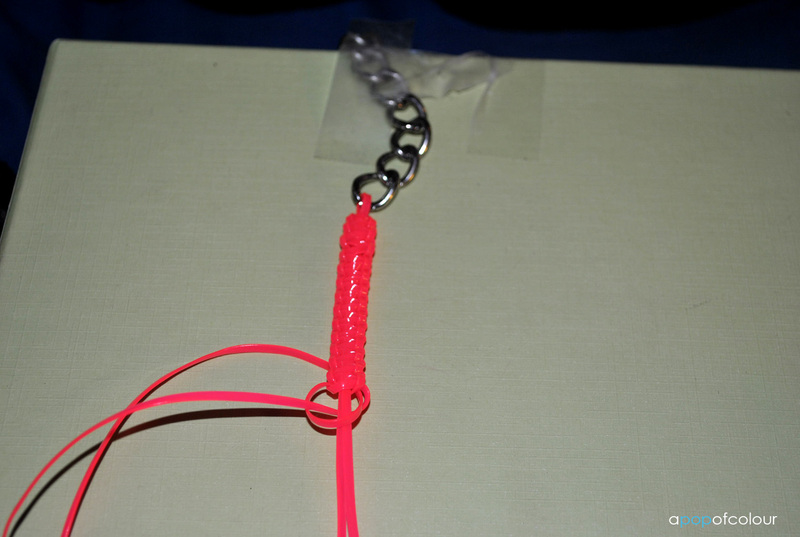 I managed to make six bracelets before I ran out of chain, but I mean the chain costs $5.99 so when I ran out I got another pack of it (their 50 per cent off coupon expires on June 15, so it was $3 and a bit). I’m not going to go into the steps on how to make them since I won’t do it justice, but check out the below YouTube tutorials. It’s easier than it looks! On average it takes me about half an hour to make one bracelet, but when you think about it, it costs around $2.50 per bracelet compared to the $26 you pay to buy one bracelet from Hello Berry. 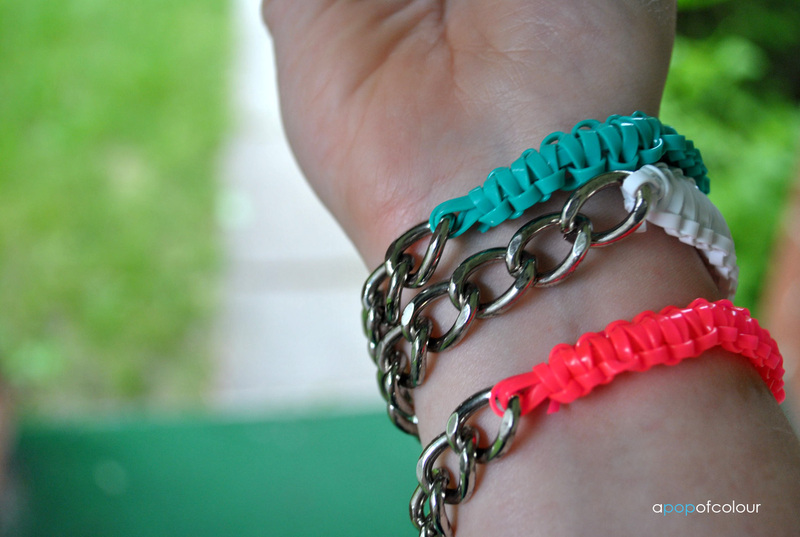 You could even grab a couple friends and have a bracelet making party! One last thing to note, when you are braiding the lace, make sure that it’s not twisted, otherwise it won’t look as polished, also, in the videos they measure the lace about 22 times the length of the chain, I have been measuring it around 24 times to make sure I have enough. I would rather have too much than too little. Let me know if you try the tutorial! Also, don’t forget to enter my Sally Hansen Avril Lavigne Salon Effects giveaway!